With so much media content available to us, it can be hard to know where to go when we’re looking for the best media player out there. While it may seem like they all do the same thing, finding the right media player for your computer and your specific viewing needs isn’t an easy task. As media formats will continue to change, you will find that not all free media players with be able to keep up and play every file type that you may have on your PC. There are countless file types that may not play on built-in media players, or those media players will not have the codecs needed to play the files. Luckily, there are a few really great media players out there that are free and work easily with your Windows computer. It would be hard to start a conversation about media players without first mentioning VLC. This popular media player is a free and open-source media player that can easily work on all platforms. Originally created by the VideoLAN project, it is known for supporting a wide variety of file formats as well as audio and video compression types. Over the years, VLC has gained a glowing reputation for “playing everything” and has inspired many other developers to create similar media players. Kodi is another free and open-source media player that is highly customizable. Great for both your laptop or desktop, Kodi is also great for streaming content on an external, larger display as it features a 10-foot user interface. Independently developed as the Xbox Media Center for the 1st generation Xbox console, it has a sleek look and is ideal for playing most popular audio and video formats. As an added bonus, Kodi has a ton of great plug-ins and can be used to stream popular apps like YouTube, Netflix, Hulu and more. In 2015, Plex ditched their Plex Home Theater in favor of the free Plex Media Player, with great results. Plex is designed to easily allow users to manage a large media collection including everything from videos, photos, movies, TV shows, music, personal videos and more. With Plex, you can then easily organize all of your media into different categories and make everything look great. MediaMonkey offers users a wide array of ways to enjoy your favorite digital tunes. With the free standard edition, you can customize the interface to meet your specific needs. In fact, MediaMonkey is supported by an active community of coders who make it possible to deck out your version with a ton of cool custom skins and other interesting add-ons. You’ll also love the built-in streaming radio for whenever you want a break from your personal collection. Organize your music with tabbed playlists, party mode and more. While it may sound crazy to some, iTunes is actually super compatible and easy to use on your Windows device. The new iTunes interface is highly-intuitive, making for a great user experience. You can choose between using the full-screen desktop media player for video files or switch over to the iTunes mini player for audio files. Another great advantage to using iTunes as your main media player is the fact that you can easily play files already on your PC or purchase new files from the iTunes store. These are a few of our favorite media players for enjoying content sourced from our computers. With so much content available online there is no limit to what we can enjoy. We especially like to connect that content to our main home entertainment systems to enjoy the big screen, but also to enjoy our music with a proper home audio speaker setup. 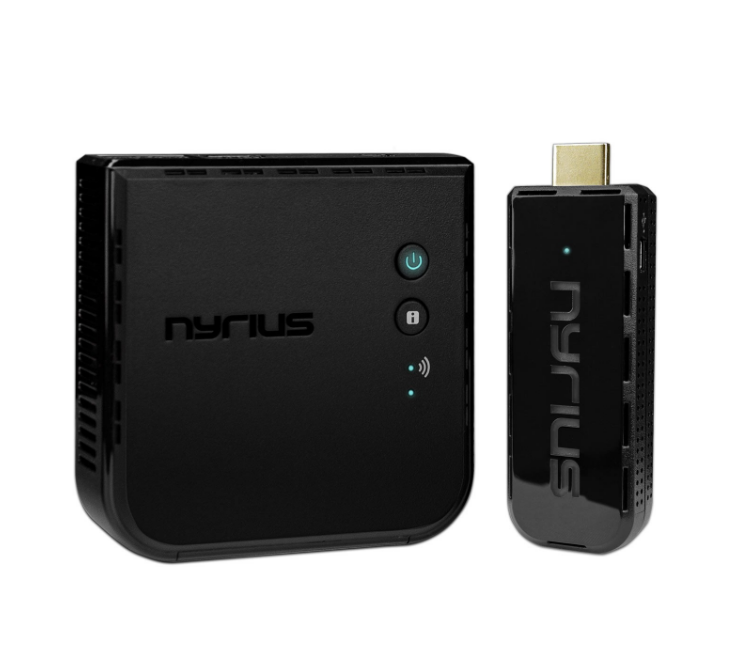 If you also want to stream some amazing content from your media library to your TV or projector you can check out our line of wireless HD audio and video transmitters. Cut the cord from your computer to your TV today.